My family and I love spending time together. Whether it's watching a movie, playing a boardgame or even a video game together, if it's something we can all do together, it's a win for us. Shiftlings is a perfect game for a fun-filled family night of video gaming with kids (and parents) of every age. In the game Shiftlings, you play a pair of space engineers, Purple Plop and Green Goop, who are the unwitting contestants/test subjects of an intergalactic reality game show. As part of the program, you’ll be sent to over 50 absurdly hazardous levels across five unique worlds to perform maintenance tasks for the amusement of the audience at home. It has that kind of “Crash Bandicoot / Sonic the Hedgehog” feel. You’ll travel through 50+ levels of brightly colored, brain-teasing puzzles with the two aliens who are attached together by an air supply hose that allows them to “pass gas” back and forth between the two of them, making one partner big and bouncy and one small enough to fit into compact places, then vice versa as each partner requires to complete the task, with a background story that is sure to bring some giggles out of the little ones. It takes some planning and heavy thinking to work your way through levels while alternating controls over two characters, and there are different modes of play that allow either single-player controlling both aliens or passing off controls to a second player or multi-player online play too! Great game, great brain-teasers, my kids love it! 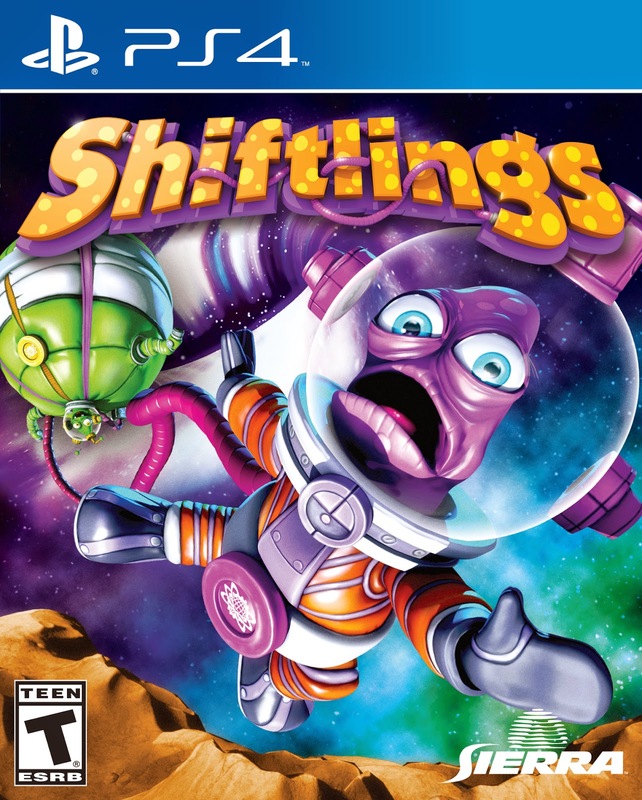 Shiftlings is now available on both the PS4 and Xbox One and Windows PC retailing at around $14.99. For more information on how you can purchase Shiftlings, be sure to head to www.sierra.com/shiftlings. Disclosure: All opinions are my own. I received Shiftlings on PS4 at no cost for the purpose of this review. No other compensation was received. This game seems like we are going to travel a solar system and have adventure with the characters. For enjoying the multiplayer mode mode one should look at Free Xbox Live Gold Membership and add fun items to the game which brings launch to the children around the screen.